Early this year, Family Care Center of Battle Creek changed their name to Grace Health. The RCP Marketing team was selected to assist them with several high profile areas of this massive undertaking. The timeline was tight and there were many details for the Grace Health team to consider as the center is busy every day and the change over needed to be seamless. The team at the new Grace Health, led by Dr. A.J. Jones, CEO, Scott Hutchings, CFO and Diane Craig, Marketing, had already taken on the task of deciding on a new name and creating a logo with a longtime colleague of RCP. We were invited to the table at the point that they were ready to begin the design of their new website. With the primary focus on user experience, the team at RCP worked hand-in-hand with the Grace Health team to assemble and design the site’s over 80 pages. The process was well planned and the site launched on schedule. 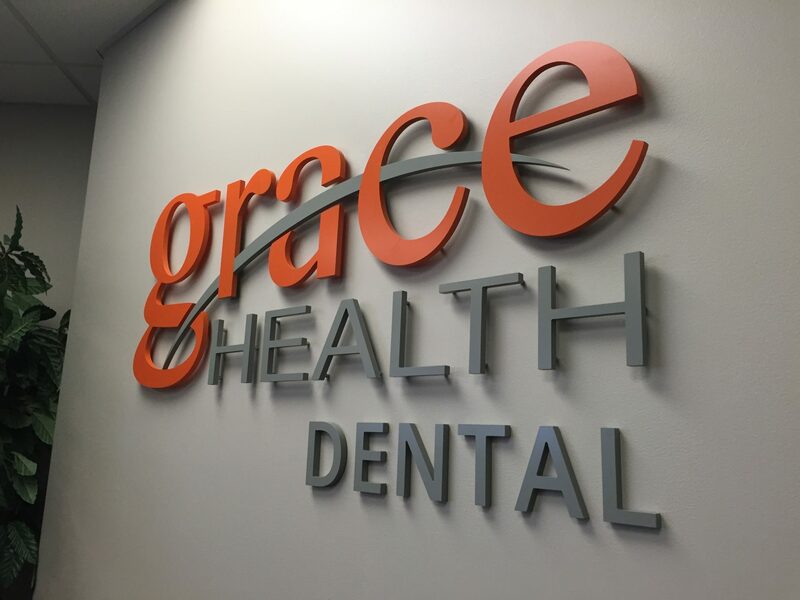 The new site was built on the WordPress platform allowing the Grace Health team to modify or add content as services are enhanced. The RCP team continues to work with Grace Health to enhance the site’s SEO and is consulting with them on best practices for social media. And, we’ve begun working together on videos to enhance the new website and give prospective patients a feel for what it’s like to come to Grace Health. Simultaneously the RCP and Grace Health teams worked on the center’s in-person visitor experience starting with the signage inside and outside each of the buildings and departments. RCP provided options for signage and designed new on-brand identity and directional signs. RCP, in cooperation with sister company Source One Digital produced and installed all of the pieces as well. We continue to have items on the wish list that we’re working on, but we’re all excited to see the new Grace Health identity consistently present from the street, inside the building, and online. “We are thoroughly impressed with the quality services that RCP provides to our organization. One of the things we appreciate the most is their responsiveness and ability to meet pre-determined deadlines. RCP recently helped create and launch our new website and continues to make improvements in order to drive new and existing patients to our site. They have also done and continue to do a great job with our exterior and interior signage. The installers take extra care to ensure there is minimal effect on our patients while the installation is being completed. They are very efficient and quiet while keeping the area safe and clean. These are very important aspects, especially since we are a health care provider. With over 25 years of marketing experience, Amy brings dynamic leadership and insight to the RCP team and their clients.